Deviled eggs are a must-try, one of the most known and loved appetizers, ideal to be prepared for a special party or also simply a dinner. The recipe to make the devil eggs is one of those I call “non-recipe”: on its simplest version, it only requires very few ingredients and not more than 30 minutes. Clearly, you can also decide to go for something more difficult, but if you want to stick to the original recipe then you really don’t need to have skills or much time. 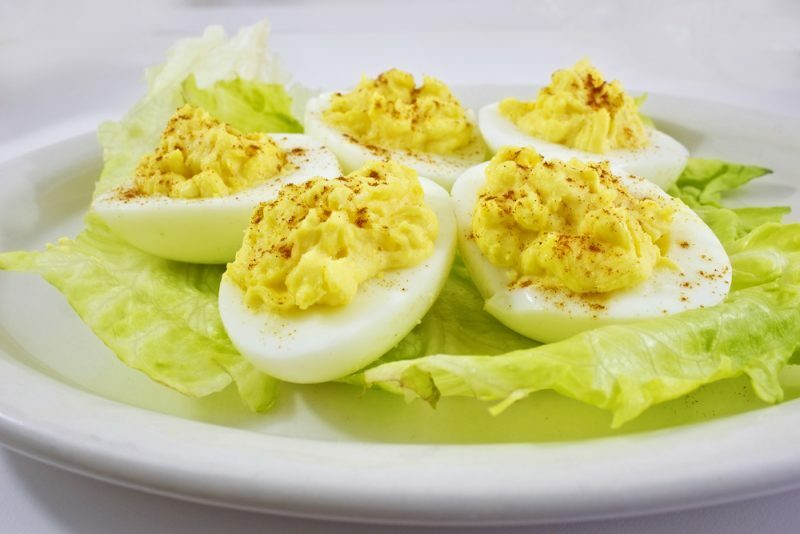 You’ll notice the recipe calls for something “spicy” and that’s why these eggs are referred as “deviled”: mustard is the ingredient you need to have and if you want to give your eggs a better kick, then you can add some paprika or smoked paprika on top of each of them. This is also one of the most rewarding recipes if you want to practice your skills and your patience ’cause even if this is not a difficult recipe, it can be tricky. 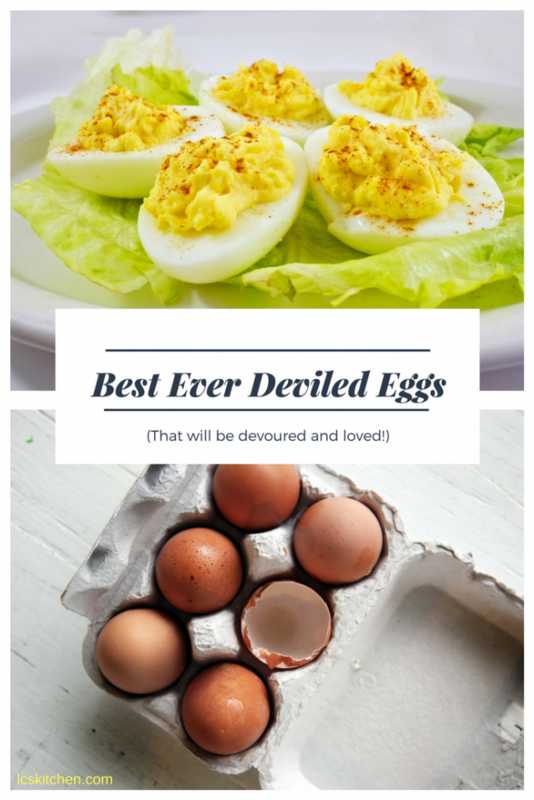 Remember, in fact, that deviled eggs are, in theory, very easy to make but in reality, they can be a nightmare: you can overcook the egg, or simply not be able to balance fat, acid, and seasoning. The result can be everything but awesome but you know what? If all fails, make egg salad and you’ll be happy! I leave you the recipe for these hard boiled eggs below but do not run away: at the end, you will find many useful tips to prepare your deviled eggs and to make them in a unique and tasty. Place eggs in a saucepan and cover with water. Heat on high until water begins to boil, then cover, turn the heat to low, and cook for 1 minute. Remove from heat and leave covered for 15 minutes, then rinse under cold water continuously. Peel the eggs and rinse under cool running water. Gently dry with paper towels. Slice the eggs in half lengthwise and remove the cooked yolks. Mash the yolks using a fork, then add mayonnaise, mustard, salt, and pepper, and mix well. Add teaspoons of the yolk mixture into the egg whites making sure you don’t break the whites. Cover and refrigerate up to 24 hours. After 24 hours, optionally sprinkle your eggs with paprika and serve. To prepare hard-boiled eggs for the deviled eggs, you need to follow an accurate method: place your eggs on the bottom of the pan, cover them with water and bring to a boil, uncovered. As soon as the water starts to boil, remove the pan from heat and cover with a lid. If you want to bring your deviled eggs to a dinner party, make sure you don’t transport them pre-assembled. chopped fresh herbs (dill, parsley, chives).